Jodi Desmond, far right. 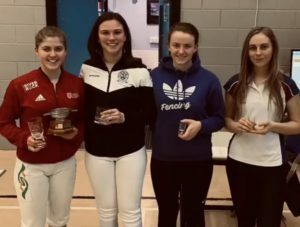 Who was sponsored by Partridge Peartree came join 3rd in the Northern Ireland Ladies Fencing Open. Next PostNext Why should I have branded uniform for my company?